So I'm still feeling great. Here's a new picture. 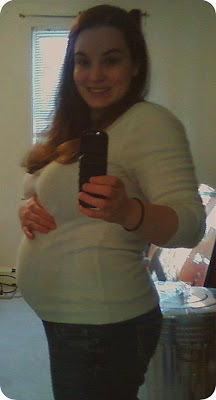 I don't feel like my belly has gotten much bigger. The baby's movement is definitely getting stronger tho.